On Saturday, February 2nd at 7 p.m. PST (10 p.m. EST), ASIFA Hollywood will be streaming the annual Annie Awards, a celebration of the best our industry has to offer. You can watch the 46th Annie Awards ceremony live right 'here' on the Annie Awards website. 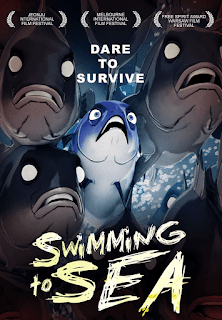 Animated Reviews: "Padak: Swimming to Sea"
I watched "Padak: Swimming to Sea" this past weekend on Amazon Prime. Such a beautiful and touching yet sad film. Highly recommended viewing but make sure that you have a box of tissues handy! If you liked Watership Down and Plague Dogs, then this is the film for you. The film itself is about a Mackerel who is captured and sold to a restaurant on the docks. So she, and the other fish in the tank, try to survive without being eaten by the customers. But as Padak was not from a fish farm, she remembers what it was like to live in the ocean and tries to rally the other fish into escaping their tank while they still can! Padak came out a year after the first fully Korean animated feature film: Leafie, A Hen into the Wild so there's some similarity in the themes but it's it well worth the time (I actually liked Padak better than Leafie). And like Watership Down and Leafie, Padak does not shy away about how life (and death) can be short and brutal for animals -- and thankfully, just like the other films mentioned in this post, Padak is honest and unflinching without pushing the boundaries just for the sake of being gruesome or for shock value. If you've ever cleaned a fish (or watched a fish being prepared for a meal), you know what to expect -- and it ably sets the peril that the fish face as they must decide to either await their fate or risk escape. Now, as it's been six years since its initial release in South Korea, I don't see Padak getting an English dub and wide release to the American market (the sub version was released to online services in 2016). And I "really" don't think that it plays to the tastes of an American audience that is still heartbroken over Bambi's mother dying over seventy-five years ago, so there's no telling how long it'll be up on Amazon Prime. Watch it while you can! Coincidentally, I bought a region-free DVD player this weekend, so hopefully, I can find a legal copy of Padak with English subtitles as I think this film would fit rather nicely in my collection. 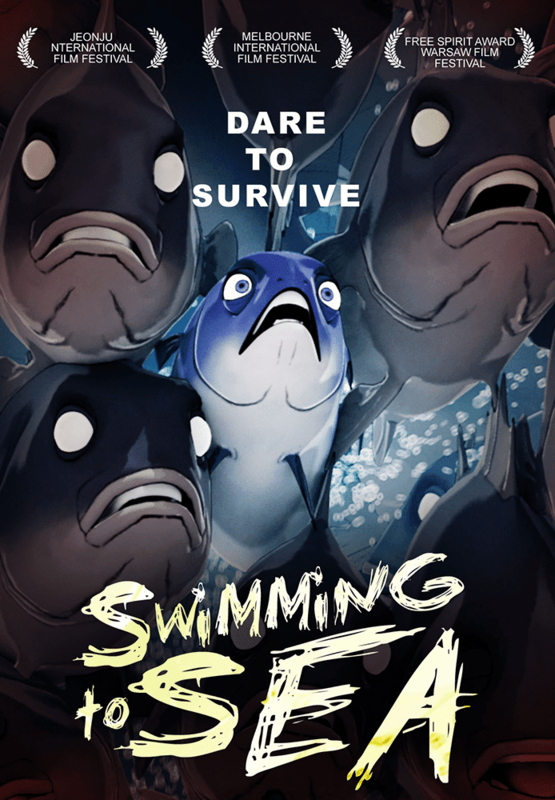 Oh, one last note: on Amazon, they just call this film "Swimming to Sea".